This is a work in progress. We would like to continue adding to this list. Please feel free to make your own suggestions or comments about the included phrases and their definitions. ‘disguised compliance’ I can’t do anything right Nothing. If you think parents are not genuinely engaging then test their engagement. Continue to assess. ‘attachment’ They don’t think I love my child We are worried about the way your child understands the world around him, and who he can trust to keep him safe. This sometimes happen if parents find it hard to be consistent in the way they look after a child. Here are some things we can do to make things better for you and your child. ‘good enough parenting’ As long as I don’t hit my child, I’m ok No parent can ever be perfect. But every child deserves to have his basic physical and emotional needs met. A lot of the time, that means parents are going to have to put the children’s needs first and above their own particularly while the children are very young and vulnerable. Significant emotional harm As long as I don’t hit my child, I’m ok Children can get hurt in all sorts of ways, not just by being hit. If they are ignored, shouted at or never praised, this can make it hard for them to grow up feeling good about themselves. Adults who don’t feel good about themselves are often very unhappy and sometimes make bad choices in their lives, which hurt them and everyone around them. Children deserve a chance to be able to grow up into happy adults. Future risk of harm Social workers think they can gaze into a crystal ball and take my child away for no real reason If something happened in the past then there is a risk it will happen in the future. But no one is a prisoner of their past. You can show that you understand what went wrong before and that you want to change it. But you don’t accept anything did go wrong, and you won’t work to try and change it, then the court will be worried about what is likely to keep on happening in the chld’s future. Some words and phrases are not helpful in either establishing or maintaining a relationship between professionals and parents. They are seen as inflammatory and/or cliches . There is a danger that such phrases are used as a convenient shorthand for a bundle of concerns which may lead to professionals failing to properly analyse what it is about the particular examples that is causing legitimate concern. Also, people find it difficult to engage with or listen to someone who appears to be talking in cliches. For example: avoid saying ‘Parent X is lacking insight into his problems with substance abuse’. Instead say: Parent X has been using drugs for a long time and has not got any help to stop, even though I have asked him to and given him the address for where he needs to go to get help. Therefore i am worried Parent X just doesn’t understand that he has a serious problem with drug use and I don’t think he can safely look after his children unless he deals with this’. It is always better to speak plainly and provide examples of actions or failure to act so that everyone is clear exactly what the problem is and what, if anything can be done about it. I can see an immediate distinction here between legal ‘terms of art’, such as ‘recusal’ and phrases which risk slipping into unhelpful cliche, such as ‘lack of insight’. Please add in the comments any words/phrases you think should be on this list. This entry was posted in Jargon and Cliche in professional practice and tagged cliche, communication, jargon on October 15, 2015 by Sarah Phillimore. This post arises out of a discussion on Facebook. The phrase ‘disguised compliance’ appears to be used more frequently in care proceedings recently. What does it mean? What do parents think it means? Is this just another example of the potentially very damaging impact of jargon upon effective communication and good working relationships? You may also be interested to see our post where we attempt to translate some of the more commonly used profession jargon. ‘Disguised compliance’ involves a parent or carer giving the appearance of co-operating with child welfare agencies to avoid raising suspicions, to allay professional concerns and ultimately to diffuse professional intervention. Examples of disguised compliance would be a sudden increase in school attendance, attending a run of appointments, engaging with professionals such as health workers for a limited period of time, or cleaning the house before a visit from a professional. Impact of use of jargon in working relationships between parents and professionals. The technical definition of jargon, the strictest, is language that is so technical that a person outside the field, the layperson so to speak, wouldn’t understand it, but that’s not the way most people that I work with think about jargon and it’s not generally the way I use the word either. For me, the definition of jargon is language that stops the reader instead of encouraging the reader to keep going, reader or listener. It’s language that either is grating or hard to figure out or seemingly wrong in some way that makes the reader or the listener stop and, instead of paying attention to your point, pay attention to your language. Kate Wells has written about the importance of using language to communicate between social worker and parent. There is clearly a danger that the use of jargon seriously impedes communication. It may reassure the professional as a badge of their intelligence or learning – but it alienates, frustrates and confuses the lay person. Mark Neary wrote about the use of jargon he encountered in the adult care system for his autistic son, and how this use of language meant his son’s life was further defined as ‘not normal’. For example where Mark Neary simply had ‘friends’ his son had a ‘circle of support and influence’. The alienating impact of this kind of language is clear. It’s partly the effect of just hearing anything over and over and over again. After a while you just get first bored and then irritated. 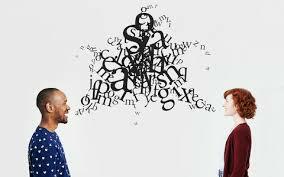 Hearing the same word used repeatedly gives the subtle, maybe subliminal, impression that the person speaking or writing doesn’t have much of a vocabulary. That is it actually undermines the impression that the writer is trying to give of intelligence or mastery of the subject and instead replaces it with the only word this person knows. We don’t necessarily know we’re doing it. In fact, I may be doing it in this call and you’ll probably get ten emails later saying the jerk was doing exactly what he was criticizing and that maybe because it is a human tendency when you find a word that works, that describes what you want it to describe, you tend to use it over and over again, but it’s a harmful tactic for communication because the effect on the reader is just grating. The further danger of use of the term ‘disguised compliance’ is the frustration it causes in parents who cannot see what they can do to show professionals that they are taking concerns on board. If the parents refuse to co-operate they are viewed with suspicion; but co-operating doesn’t help either as this will be reduced to ‘disguised compliance’. The use of jargon and cliche is particularly infuriating for parents when it is seen as an attempt to mask hypocrisy or lazy thinking. For example, a typical complaint from many parents, is if they are late for contact with their children, this will be written up as evidence of their lack of consideration for their children or their inability to plan their lives. Social workers who are late for appointments however will blame traffic jams. I’m speechless I’ve spent a couple of hours reading about disguise compliance and my honest view everyone on here is disguise compliance because we are taking a stand. Some of the advice on community care for social workers is don’t ever believe a parent, anyone that makes a complaint has issues with authorities, a parent may have a good relationship with one professional they clearly got motives to hide abuse … if u don’t agree to the appointment they want to have with you because u made plans three weeks ago to meet up with a friend who you haven’t seen for a long time and they ring up the day before or sometimes hours before because you say you can’t your busy but any other day is fine you are avoiding in their eyes. There are strong temptations to slip into ‘industry speak’ – as a sign of your belonging, as effective shorthand when communicating with other professionals, etc. But we have to be aware of the impact of our language. Not only can it serve as a barrier to communication but it can have a detrimental impact on our ability to think about what we are really saying and what we really mean. It was recognised and discussed at the Child Protection Conference in June 2015 that there was work to be done on simplifying and humanising the language used by professionals. Delegates were asked to give their definitions of commonly used phrases in care proceedings such as ‘pre-contemplative stage’ or ‘attachment’. Even when people were confident that the meaning of the word was ‘clear’ there were a great many variations on the definitions they gave; the words and phrases did not mean the same things to the same people. … If the objective is to inspire people or to sort of prod them to action, the sounds and the words they hear ought to strike them as coming from friends and allies, not from a disgruntled professor. The whole point of inspiring people to do things is that you reach them at a level that’s both emotional and intellectual. The emotions are stirred by emotional speech and the intellect is stirred by originality. Neither of those things is going to come from a lot of cliché, jargon, abstractions, and technicalities. The Government’s ‘Good Law’ project promotes using language for law that is easy to understand. Try putting text through the Gunning Fog Index to see how accessible it is. This post scored 15 – which is probably too high! This entry was posted in Jargon and Cliche in professional practice and tagged communication, disguised compliance, jargon, language on October 12, 2015 by Sarah Phillimore.